UK wildlife charity People’s Trust for Endangered Species (PTES) is looking for wildlife enthusiasts to take part in its National Water Vole Monitoring Programme. Members of the public are asked to help monitor signs of the UK’s disappearing water voles as part of its annual survey, which begins this weekend and runs until 15th June. The water vole was once a common sight along UK riverbanks and waterways, even inspiring childhood characters such as Ratty from Wind in the Willows. However, over the last century, the water vole has experienced the most dramatic decline in numbers of any wild mammal in the UK. Threats from invasive American mink, habitat loss, agricultural intensification and river pollution are all contributing factors. The impact of mink has been particularly devastating – between 1989 and 1998 the water vole population crashed by almost 90%. 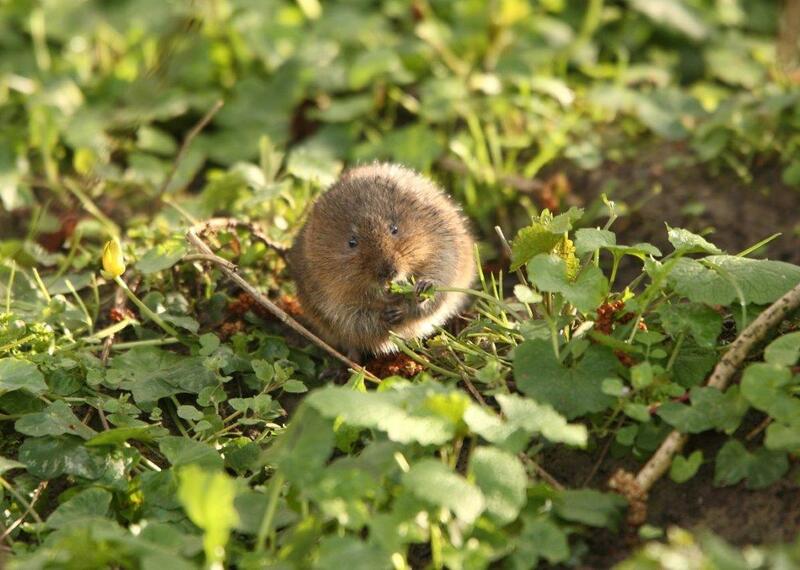 In response to this dramatic decline, PTES launched the National Water Vole Monitoring Programme (NWVMP) in 2015, when it appealed to members of the public to help look for signs and sightings of water voles. Volunteers are asked to survey one of the 850 pre-selected sites across the UK, recording all sightings and signs of water voles during the course of the two-month period. No previous experience is required, but those taking part will need to learn how to identify water voles and their signs, with information available on the PTES website.